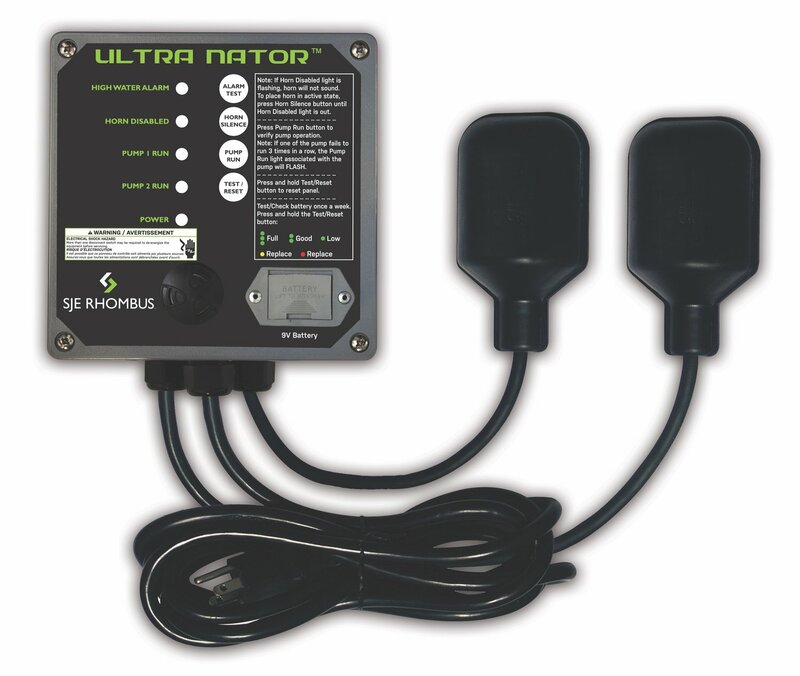 The Ultra Nator™ control and alarm system controls two alternating 120V 1 HP or 15 Amp single phase pumps in duplex pump applications. The plug and play design features a factory-installed 10’ power cord, floats and pump receptacles (no field wiring required to quickly connect two pumps). The new 9V battery back-up alarm system maintains the alarm function if primary power is lost; you can quickly test the battery condition with the battery test function. The new pump failure indicator alerts you to potential pump problems, such as non-operating pumps, problems with outflow plumbing, or if the water inflow is greater than pumping capacity. The quick reference chart on the panel front helps the operator diagnose problems quickly.